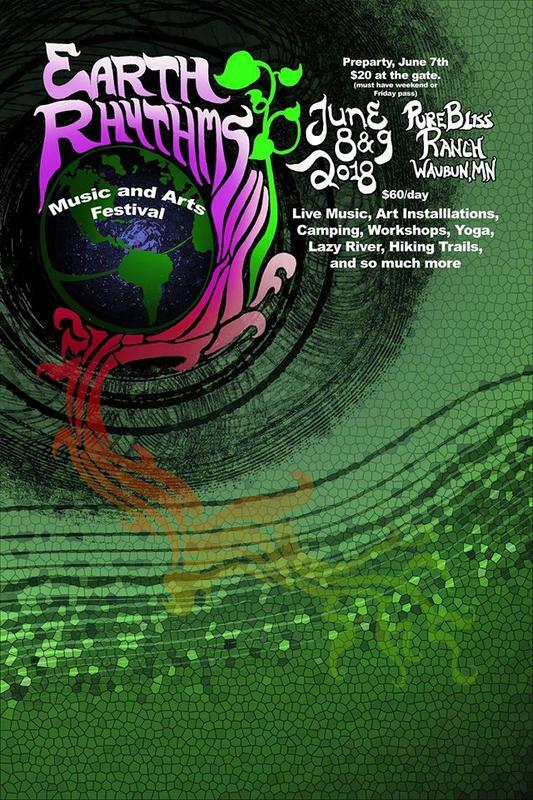 Art and Music event celebrating the yearly cycle of the earth and the spring bloom. Camping in the beautiful grounds of Pure Bliss Ranch with friends, seeing some amazing musical and visual talent and enjoying nature. Come join us for Earth Rhythms.